The lovely Coorg is frequented by many from all over the Indian subcontinent every single year. Since everyone loves to explore places at their own pace, the time they would require to find it is sure to differ. To many of us who are there to discover and explore the beautiful Coorg, 1 or 2 days may seem a little less. And therefore, we curate and organize 3-day trips from Mysore to Coorg. Read on for our curated list of amazing places to visit in Coorg! 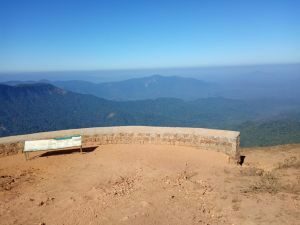 The 3-day Tour Plan of Mysore to Coorg – Our List of Places to Visit in Coorg. Our chauffeur-driven cab will pick you up from the hotel/home. Our 3-day tour of Coorg begins with a satisfying and soulful breakfast. Our first stop for the day is at the Namdroling Monastery and the Tibetan Golden Temple at Kushal Nagar. This is a serene and lovely place where you can spend some time and attain some peace. The second stop on our list of places to visit in Coorg is Nisargadhama, a small island which feels nothing short of nature’s retreat. You’ll be surrounded by animals and trees, enjoy nature to its fullest. Then we reach Madikeri and Check-in at the hotel, followed by lunch. After a bit of rest, we visit the Mercara Fort which was a historical stronghold for the rulers who’ve ruled at Madikeri or rather, Mercara. We follow that up by watching the sun go down from the iconic sunset viewpoint, Raja’s Seat. Shop at the local market for the locally grown spices, honey, or the coffee. Done with all the places to visit in Coorg for the first day, we shall retire at the hotel in Madikeri. A healthy breakfast marks the start of our second day of exploring Coorg in our Mysore to Coorg tour package. The day begins on a spiritual note at the Omkareshwara Temple, dedicated to Lord Shiva. After receiving Shiva’s blessings, we move to the Raja’s Tomb, where the Kodava rulers have been buried. Make sure you give the architecture of the place a good look, for it’s a work of art. Soak in some fun and water at the Abbey waterfalls. Located amidst a coffee and spice plantation, this place is cool and scenic, especially in the monsoons. 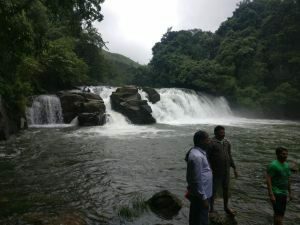 Abbey Falls is considered one of the most serene spots on the list of places to visit in Coorg. Our sunset for the day will be seen from the scenic and breathtaking Mandalpatti viewpoint. We then visit the origin of the river Kaveri. Named Talakaveri, this religious place is quiet and calm and offers a great and soothing experience. Our last spot for the day’s list of places to visit in Coorg is the Bhagamandala temple. Again, this temple is dedicated to Lord Shiva. You also get to visit the nearby Triveni Sangam, the confluence of three rivers – Kaveri, Kannike, and the mythical Sujyoti. Second night’s stay in Madikeri. We begin the final day of touring with breakfast and then check out from the hotel. Our first spot in today’s places to visit in Coorg is the Chiklihole Dam, a beautiful location where people often come to spend a peaceful time. With breakfast to energize you and some peace to open up your mind, venture into some grade 4 rapids as you indulge in river rafting at Barapole. After this thrilling and refreshing experience, visit the Dubare Elephant Camp where you can go for a relaxing hike or rather take a ride on the elephant’s back. This would the best last spot in our list of places to visit in Coorg. We then make our way back to Mysore, where an elegant and refreshing evening awaits us. We spend the evening at the Mysore Palace, which sure is a spectacle to see at this hour. Lights make this piece of history even more memorable. Right before concluding this trip, we take you to the Chamundeshwari Mata temple on the Chamundi hills. Overlooking the city of Mysore from the top of the hill, this temple will soothe your senses. Finally, we bid you farewell and drop you off at your home or hotel. Or in case you are traveling, we will drop you off at the railway station/airport. 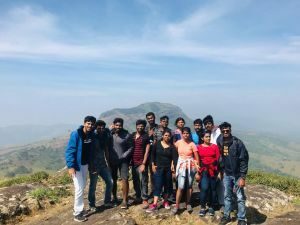 With this, our 3-day of Mysore to Coorg tour come to an end. If driver drives the vehicle before 06:00 Hrs or after 22:00 Hrs, then the additional driver batta will be added to the total. ​We are not responsible if the routes are closed, natural calamities, Venue closure or political disturbances. No discount or reduction is applicable if the desired itinerary is not covered in the given span of time. All sightseeing spots will be covered one time only. Payment must be done to driver part by part during the trip. We are the providers of Mysore To Coorg cabs services, we can arrange a comfortable, reliable and luxurious ride for you.